Thank you everyone for your nice words about my last "This Moment" photo. A few people asked what Lily is wrapped in-- it's the Forest Canopy shawl I knit a few years ago. Some day I hope to give it to her, if she wants it. It's special to me because it's the first lace shawl I ever knit. Square pieces of red are piling up for the matinee jacket. It's such an enjoyable knit. I'm working on sleeves now, and it won't be long before I'm putting the pieces together. Wish me luck! I saw so many cute things made with fabric at Stitches West a few weeks ago that I became obsessed with finding cloth napkins to buy on Etsy. These kittens from Cottage Daydreams seemed perfect. I'm not sure if I will keep them for myself or give them away as a gift. 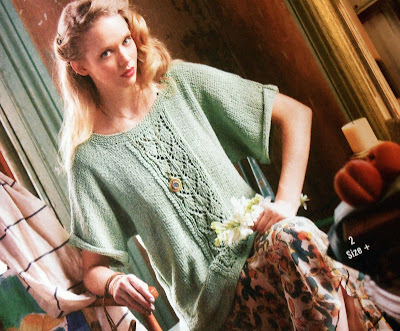 Last night while laying in bed and browsing the latest issue of Vogue Knits, this ﻿oversized pullover caught my eye. After studying the pattern I decided I actually have the skills to knit it (we'll see). The yarn is a cotton/soy blend called Soja, which I've never seen or heard of, so I ordered one ball online to make sure it is soft enough for my skin and easy enough for my fingers to knit with. If it passes those two tests, I think I'm going to make it. I've had my eye on that Vogue pattern as well. It looks really pretty. Although, heads up with Vogue patterns, some times they can be great and other times they can be so screwed up that you have to make it up as you go along. 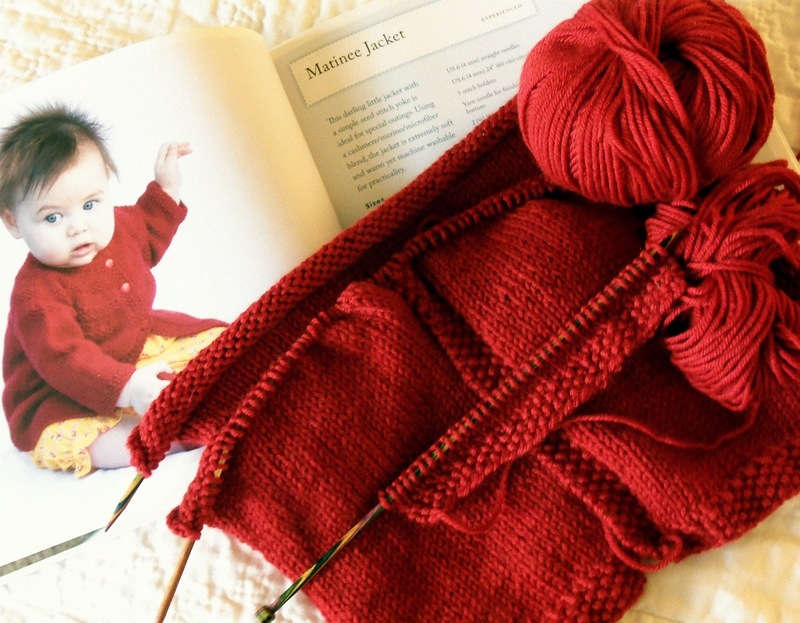 I would check out the Ravelry page and see what others are saying about it before you order more yarn for it. Great projects. Hope you like the yarn you ordered! Beautiful sweater! Yes you can make it, I KNOW:) Have a blessed day my friend, HUGS! And I love, love, love that red color for the little jacket. Oooh, thanks for pointing out that Vogue sweater -- it's gorgeous. That would be a perfect knit for spring!